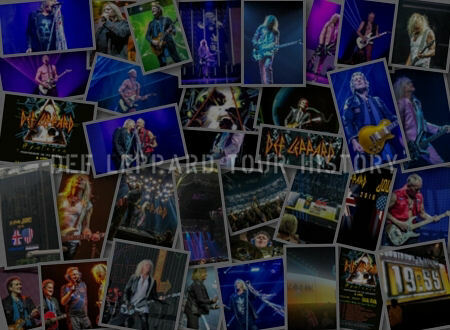 The Def Leppard VIVA! 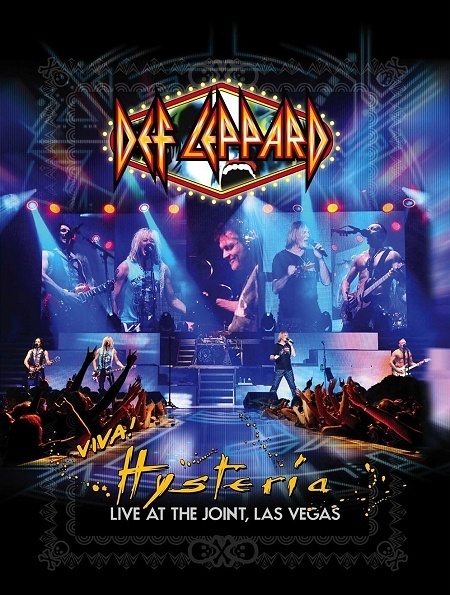 Hysteria Live At The Joint, Las Vegas CD/DVD/Blu-ray was released on this day in 2013. The concert film had been screened in UK cinemas on 19th September and in North America on 2nd and 8th October ahead of the physical release. The 11 date VIVA! Hysteria residency took place from 22nd March to 13th April at The Joint in Las Vegas, NV. The live album and film was released on 2CD/DVD (or Blu-ray) Special Deluxe Edition or stand-alone DVD, Blu-ray and digital release. This was the second full live album release by the band after the 'Mirrorball' album of 2011. A document of the band playing the classic 'Hysteria' album in its entirety and in sequence for the very first time. Many of the songs being played for the first time in 25 years since the original 'Hysteria' album tour of 1987/1988. They opened for themselves each night with a different setlist of rarely played songs as spoof cover band 'Ded Flatbird'. Each band member taking on a different name based on classic Rolling Stone magazine front covers hanging in the venue dressing room. 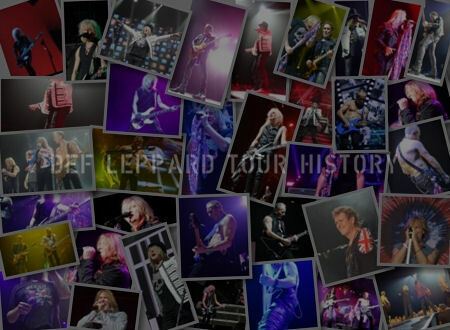 The CD and DVD/Blu-ray featured a massive 29 live tracks in total. Many of the songs had not been release before as live versions including the ultra rare 'Good Morning Freedom' which was only previously available on the B-Side of the 'Hello America' UK seven inch single in 1980. The two Ded Flatbird opening sets from 29th/30th March 2013 were included on CD2 and the DVD/Blu-ray. 15 songs in total including 7 from 'High 'n' Dry'. 'When Love & Hate Collide' from night one was omitted from the tracklisting. The Japanese release also included the Acoustic Medley as a bonus track on CD2. This was included as part of the DVD bonus material along with a photo montage section. As a possible consequence of the ongoing dispute over digital royalties with Universal, the digital version of the CD was removed from iTunes very quickly after its release. Read more about the concert filming. "Just saw the final cut for Viva Hysteria! on a big theater screen and it was fantastic! Not just saying that because it's me up there either. I rarely get to see Def Leppard perform for obvious reasons and this was absolutely wonderful. The edits and filming rocked." (On theatrical release) "We were like, 'Well, that ties in with exactly what we want to do. It just kind of fell into place." "The world film is a bit of a stretch to me; I am a little uncomfortable calling it a film because a movie has actors and scripts." 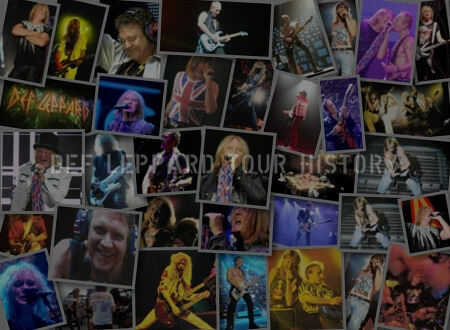 "This is a document of Def Leppard live when we play the Hard-Rock hotel in Las Vegas. We played eleven nights, and we filmed two of them; this footage is mostly from the second night." 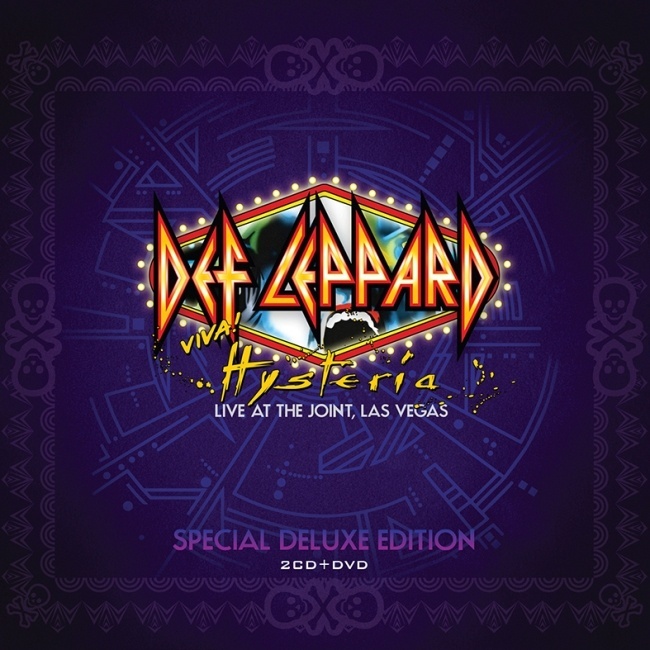 "It's the entire Hysteria album played from start to finish, live in front of a pretty rowdy audience in Vegas. What they can expect if they are Def Leppard fans is a very good live band playing an album that took the best part of two years to record." "This is completely live there is no over-dubs, and the whole thing is real. It is an honest reflection of what the band is like in the year 2013." "Well, it’s not really a movie, is it, because nobody dies. I don’t save anybody in the last minute, neither does Sav. Movie is a funny word - it’s not one we chose to call it. To me it’s a live performance. It’s just a gig. It doesn’t have any documentary bits in it as such, it’s just a case of bringing Def Leppard live into a cinema situation, which is becoming kind of trendy to do." "I’ve seen a couple of these myself and they’re even bringing in live gigs actually ‘live’ live. I think Robbie Williams from the Ukraine was in some cinemas so I think it’s just a new experience and people thinking ‘We should put rock n roll on in cinemas'. 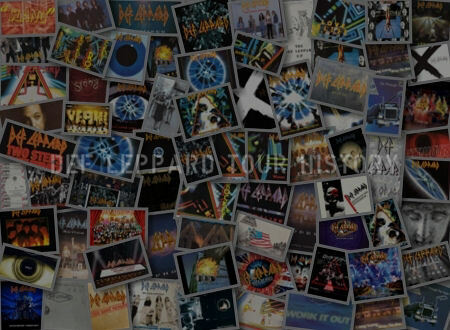 "We’ve been asked for many years if we’d ever play an album in its entirety, and the answer was always no because we'd be out promoting a new album,” says lead vocalist Joe Elliott. “Then in March and April 2013 when we had no new music to promote, we had a chance to revisit arguably our most important album. It was an easy decision to make. As for Vegas, it's no longer perceived as the place crooners go to die! Artists like Motley Crue, Elton John, Guns N Roses & Cheap Trick have recently done residencies and Rock ‘n Roll has definitely moved in! So, there was no better place for us to take the show. It was a fantastic experience for us and for our fans."